There are many different ways for photographers to stimulate their creativity, try new techniques or to experiment. Changing a point of view on a subject is one of these ways. A point of view is influenced by the position, direction and height of the camera. Changing a point of view can be a very interesting and powerful technique in presenting your subject in a new and unique way as well as highlighting its features. You are able to change they way a subject is perceived by simply changing your camera's position. For example, by photographing a person with a camera pointing upwards, the subject will look not only taller but also it will give a more powerful message about that person. In addition, changing the point of view will also influence and possibly alter the background that is behind the subject. This way, if the original background behind the subject is not interesting, changing the point of view will likely modify the background into what is above the subject. Also, changing your point of view when taking a picture can help you in eliminating distracting backgrounds. Article Picture: I think this is a good example on how to use a different point of view from what we are usually used to when looking a subject. 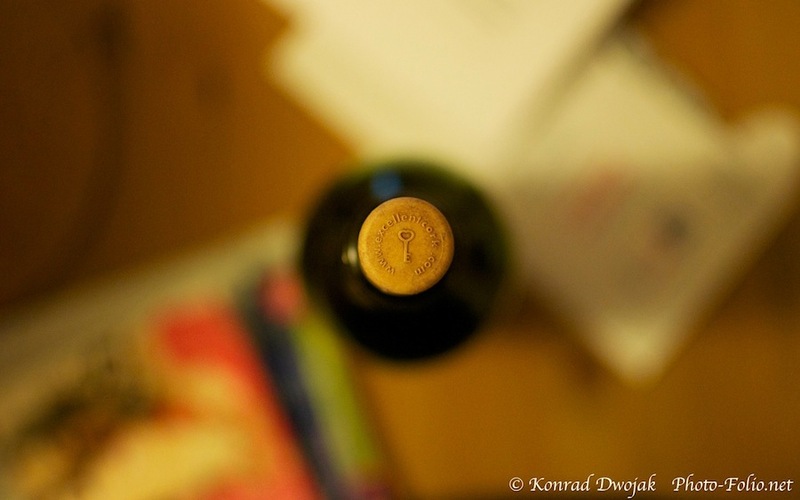 It is a picture of a wine bottle taken from above. What you actually see is a cork.